Katie Marciniak got her start with us during last year’s Fresh Beats & Eats Farmers’ Market. Along with other leaders and staff, she ran organic produce stands and engaged residents around healthy eating habits. As a performer, planner and ambassador for Fresh Expressions—our grassroots, youth open mic program—Katie quickly became a mainstay at IMAN. As a student at local Gage Park High School, Katie helped with extraordinary student research exploring Dr. Martin Luther King, Jr. and the Chicago Freedom Movement’s 1966 march through Marquette Park. Moved by the discovery of such a profound moment in her own neighborhood, Katie has embraced a key role on the MLK Living Memorial Planning Committee, serving alongside high-level executives and public figures from across the Chicagoland area. 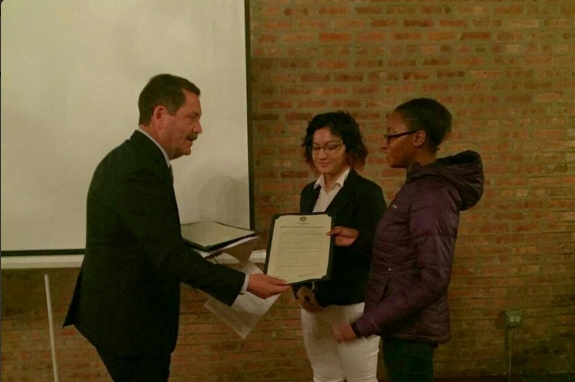 In recognition of her achievements, Katie was on of two IMAN youth leaders publicly awarded by the Office of Cook County Commissioner Jesus “Chuy” Garcia. This summer, Katie’s journey has taken even more exciting turns. She is currently enjoying the sweetness of her first Ramadan, and will soon take her talents to the prestigious Princeton University Summer Journalism Program. 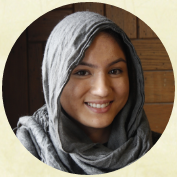 With the help of your prayers and contributions, IMAN continues to be able to offer brilliant youth leaders like Katie an outlet to express their creativity, organize their communities, and continue to flourish in a truly holistic way. As this blessed month continues, we ask that you make your zakat-eligible, tax-deductible donation to our 2016 Ramadan Drive and help us reach our ambitious $500,000 goal. May the Most High continue to make us worthy of your support, and may your month be full of blessings and mercy. 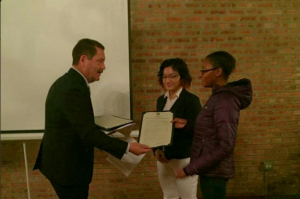 This entry was posted in News, One Chicago, Uncategorized, Youth Services by Dallas Wright. Bookmark the permalink.